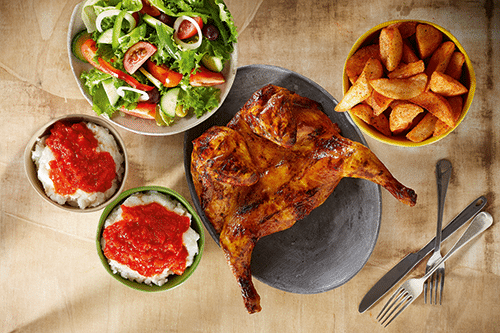 For centuries, the people of Southeast Africa have used PERi-PERi to bring fire to their food. It’s in Mozambique’s rich soil and blistering sunshine that the African Bird’s Eye Chilli grows into its fiery best. With a squeeze of lemon and a kick of garlic, this unique punch of flavour has made Nando’s famous for its flame-grilled PERi-PERi chicken. Basted in a range of sauces from mild to fiery, each piece is cooked to perfection.